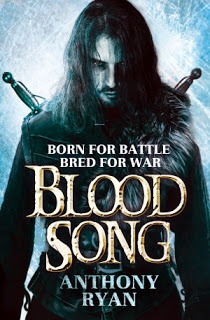 I did of course find some, but only a couple, and since I also found a real gem of a story herein â€”a great take on the â€˜traditional military fantasyâ€™ theme that borrows a lot of tropes and merrily rips them apartâ€” all can easily be forgiven. 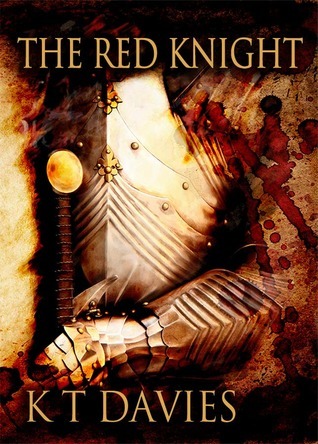 At its heart, this is a tale of war and betrayal, heroes and villains, magic and violence, love and lust, a bloody siege, and a few other things, not necessarily in that order but pretty close… and all thrown into a magic cauldron that spouts brilliant characters, great writing, and a whopping big smile. Although one could write this off as standard fantasy at first glance, there is so much story and strong characterisation that itâ€™s more about the people and their personalities, with an admittedly glorious, gritty and very bloody backdrop, and yet it also has an over-riding love story at its heart: Alydaâ€™s relationship with Prince Talin is a constant reminder of how any loving union has to endure the constant ebb and flow of good and bad, through thick and thin, etc. not to mention the potential class-divide and behavioural impropriety headaches that are part and parcel of any potential Prince/Knight partnership. The main siege that forms a large part of the central story is depicted with genuine brutality and a bloody realism that hits hard â€” the fights are full on, the wounds scream, and the bang-crash-wallops all hurt in that special crunching way that makes you physically wince as you read, but again at its core it is still all the individual characters and personalities that you feel for, especially Alyda, and ironically all of them come more alive with every drop of blood they spill, be it their own or someone elseâ€™s. Brilliant characters, great dialogue, all-round excellent writing, and full to the brim with character, itâ€™s very hard to fault any of this, but Iâ€™m going to: the end left me with a feeling of exhaustion and exasperation, and yes while there is a real sense that â€˜life goes onâ€™ I just felt a little deflated after such a fantastic, sensational ride. A great book. A fabulous talent. And a genuine winner for Anachron in my opinion. Read it.